Guitar For Beginners Lessons - Guitar Strings. Free Guitar For Beginners Lessons! The strings are numbered 1 - 6, from the highest sounding to the lowest sounding. The frets are also numbered from low to high. If you fret higher up the neck it makes a higher pitched sound. 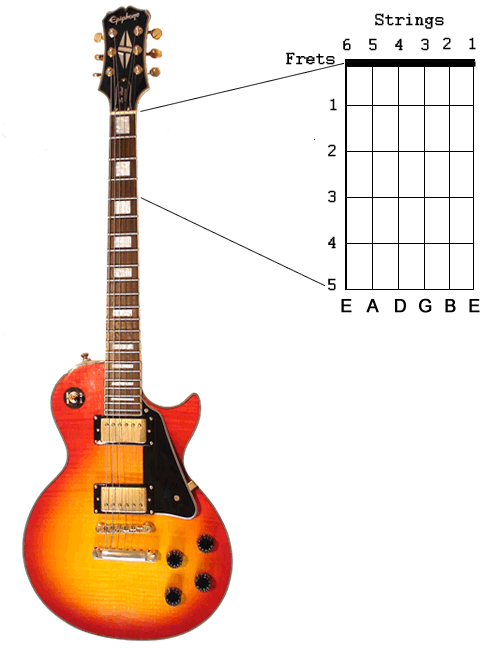 If you fret lower on the neck it produces a lower pitched sound. To remember the string notes make up a word for each string. Ex. Every, Adult, Does, Great, Big, Elephants. Check out other free Guitar For Beginners lessons!